The Bahamas’ modern infrastructure, stable democracy, steady economic growth, as well as its natural beauty, makes it attractive to multinational companies (MNCs) looking to gain new development opportunities. With MNCs accelerating their investment in The Bahamas and integrating with the nation on economic and social levels, The Bahamas’ economy has a bright future and huge growth potential. According to the United Nations Conference on Trade and Development’s (UNCTAD) World Investment Report 2010, half the total foreign direct investment (FDI) inflows to Small Island Developing States (SIDS) last year were concentrated in three jurisdictions:?Jamaica, Trinidad and The Bahamas, in that order. The Bahamas netted $654 million, or 13 per cent, of SIDS’ foreign direct investment in 2009, the report noted. The Bahamas has come a long way from the early 1900s, when the local economy began to open up to FDI with the establishment of the Royal Bank of Canada, the first international bank in the country. Over a century later, a wide range of global players have been received with open arms. Among them, South African developer Sir Sol Kerzner and his Atlantis Paradise Island resort, Vancouver Airport Services (YVRAS), the iconic Morton Salt (now a subsidiary of the German company K+S), The Netherlands-based Royal Vopak (the world’s largest provider of storage facilities for bulk liquids) and the Fortune 500 company Hutchison Whampoa–a Hong Kong-based corporation whose holdings range from port to property development. 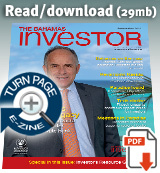 Interest in investing in The Bahamas does not stop there. In his New Year’s address to the nation last year, Prime Minister Hubert Ingraham noted that a number of international companies intended to open corporate headquarters, sales offices and training facilities in The Bahamas. Most notably, he said, the leading brand in luxury watches, Swiss watchmaker Rolex (Caribbean) had received approval to locate its watch making and repair training centre in New Providence. Likewise, Oldcastle Building Products (Caribbean) was approved to operate its sales office for the region and North America out of New Providence. Brimac Environmental Group–an international environmental engineering consultancy–also received approval to transfer its corporate headquarters to The Bahamas. Back in the 1990s, Sir Sol’s Sun International acquired over 600 acres of Paradise Island and began its transformation into the company’s flagship brand Atlantis–an ocean-themed destination resort. Today, the 3,000-plus-room resort features a 63-acre water adventure park, a man-made lagoon for dolphin encounters called Dolphin Cay, as well as the world’s largest artificial marine habitat with 50,000 sea creatures, replete with faux underwater ruins. Prior to Sun International’s FDI in The Bahamas, the country’s number one industry had a “worn-out product” in need of capital investment, said C A Smith, tourism minister during the Ingraham administration’s second term in office. In some quarters, Sun International (later renamed Kerzner International) is credited with single-handedly turning around the local tourism industry. Reports suggest Kerzner International owns and operates almost 25 per cent of the country’s hotel rooms. The company is the country’s largest private sector employer, engaging 7,500 workers. The resort also generates revenue for the public purse through casino taxes, and guest rooms and resort levies charged to hotel guests. A powerful brand, Atlantis was extended globally with the development of Atlantis, The Palm in Dubai–a 1,500-room luxury hotel and water theme park situated on 1.5 miles of beachfront property. Kerzner International also manages six One&Only luxury resort properties located in The Bahamas, Mexico, Mauritius, the Maldives, South Africa and Dubai. Economics aside, the multinational company assumes a very important philanthropic role within the local community. Markantonis acknowledges the corporation’s huge social responsibility. “We take that very seriously,” says the veteran hotelier. Over the past 16 years the company has injected more than $25 million into local charities, schools, public parks, among others. Equally important, Kerzner Marine Foundation–a private, nonprofit organization–works to preserve local and international marine ecosystems. Besides saving coral reefs in Bahamian waters, the foundation is currently working to promote the expansion of the Westside National Park in Andros–an area of pristine coastal wetlands that protects The Bahamas’ most productive nursery for conch and fish stocks. For Stewart Steeves, president and chief executive officer of Nassau Airport Development Co (NAD), several key factors contribute to a good investment climate: a country’s overall economic prosperity; and its history of growth, political stability and public infrastructure. “We tend to look at those dimensions,” he says. Those factors combined with the opportunity to participate in the large scale privatization and redevelopment of “a critical public asset” attracted Vancouver Airport Services (YVRAS) to The Bahamas in 2007. YVRAS–a Canadian firm that manages 18 airports on three continents–has a 10-year management agreement with NAD to provide oversight of the principal gateway to the nation’s capital, the Lynden Pindling International Airport. Although the government owns the airport, NAD (and by extension YVRAS)?is overseeing the facility’s $410-million expansion. It is the largest public sector project ever undertaken in the history of The Bahamas. The airport’s master development plan includes the construction of a new US terminal, a revamp of the present US terminal to serve as the new international terminal, and the construction of a new domestic terminal. Runways, taxiways and parking facilities are required to be upgraded, and new security checkpoints and baggage claim systems added, among other features. “To date we have invested over $150 million in the airport, with over 400 employees [working] on the redevelopment project, of which 75 per cent are Bahamians,” says Steeves. “We’ve also led the redevelopment of retail shops and restaurants in the airport and that’s created over 100 new, permanent jobs for Bahamians as well.” NAD itself employs around 147 workers. The airport’s redevelopment has been a goal of successive governments. YVRAS–one of North America’s leading global airport investment and development companies–was brought onboard to ensure its success. Although YVRAS executives currently sit at NAD’s helm, the majority of NAD executives must be Bahamians within a year of the project’s completion in 2013. “Professional development and training are key initiatives,” says Steeves. “We’ve invested heavily in training internally, as well as sending our employees on exchanges internationally.” Furthermore, YVRAS has worked with the Bahamas Technical and Vocational Institute and has been an active sponsor of The College of The Bahamas, having donated a four-year scholarship to the tertiary institution for a business management major. Not only is YVRAS facilitating a transfer of knowledge to Bahamians, once completed, the new-look airport is expected to become a source of national pride. According to Steeves, the facility is being constructed to feature Bahamian colours, materials, native plants and local landscapes. Two million dollars is being spent on specially commissioned Bahamian art to be displayed in 14 prominent locations throughout the new terminal facility. In 2008, Royal Vopak and First Reserve Corp acquired Bahamas Oil Refining Co (BORCO) oil storage terminal in Freeport. The equity value of the new company amounted to $550 million, with an 80/20 per cent split between affiliates of First Reserve and Vopak, respectively. The goal was to improve BORCO, transforming the facility into a profitable world-class terminal. The Bahamas terminal presented an excellent business opportunity, ripe for expansion, with deepwater jetties that can accommodate large vessels and the facility’s strategic location, positioned along the Northwest Providence Channel. It is on a direct shipping link to the North American seaboard, the Caribbean, the North American Eastern seaboard and South America. BORCO’s acquisition was a strategic partnership for Vopak–the world’s largest independent tank terminal operator specializing in the storage and handling of liquid and gaseous chemical and oil products–and First Reserve, the leading private equity firm that specializes in the energy industry. “The terminal became a key, international hub for petroleum products and best-in-class storage and trading platform for the region, while providing economic development for The Bahamas and the region,” says a company spokesperson. BORCO provides storage of petroleum products for a number of international clients and has a storage capacity of 21.4 million barrels, making it the largest storage terminal in the Caribbean. It also offers blending, transshipment and bunkering services at its Freeport terminal located just 80 miles off the coast of Florida. The facility employs 202 full-time workers and a further 31 on a temporary basis. According to BORCO, the facility will continue to grow to meet the changing demands of its clients. On the home front, the company has consistently donated to local schools, civic organizations, churches and individuals, in addition to sponsoring sports and cultural groups within The Bahamas. In 2010, The BORCO Foundation was established to support the local community and invest in the development of the island’s “human resources.” To that end, 30 students were awarded full scholarships to attend the BORCO Foundation Technical Welding School.